I’ll ‘fess up. It was my intention to install Snow Leopard on my MacBook, use it a while before to make sure all the applications I used run smoothly under the new operating system, and then decide whether to install it on my iMac. But patience isn’t my strong suit. 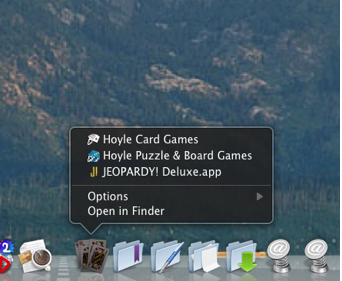 After using Snow Leopard on my MacBook for a mere day-and-a-half, I couldn’t restrain myself. 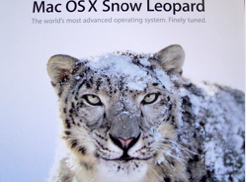 On Sunday, I installed Snow Leopard on my iMac. So far, the only difficulty I have run into is that my HP Deskjet D1455 printer wouldn’t print. The print window showed up just fine, but the print job had an error and wouldn’t print. I jiggered around with it for a few minutes, but I was getting nowhere. So I did what any red-blooded non-techy computer geek does. I uninstalled the printer software and then downloaded and installed a fresh copy from the HP website. Voilà! The printer works! Snow Leopard hasn’t changed the appearance of my Desktop. In fact, from just looking at the Desktop, you’d never know I had installed a new OS. 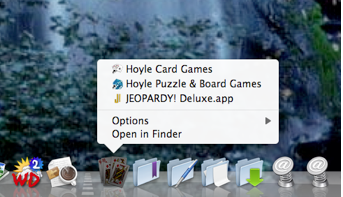 The most visible difference between Leopard and Snow Leopard so far is in the appearance of the Stacks in list view. Some nice features have been added to the Dock, but otherwise, it is speed and size that make Snow Leopard really shine. The OS actually takes less space on the hard drive–I freed up nearly 7 GB on my MacBook and nearly 5 GB on my iMac. Snow Leopard also has Microsoft Exchange built in, but I don’t have any use for that feature. Start up and shut down are now faster, and some applications load noticeably faster. So far, I am totally smitten by Snow Leopard. No, it isn’t loaded with new features, but it does take a really great OS, Leopard, and makes it even better. And at $49 USD for a family pack, which allows me to install it on five computers in my household, it is a real bargain.